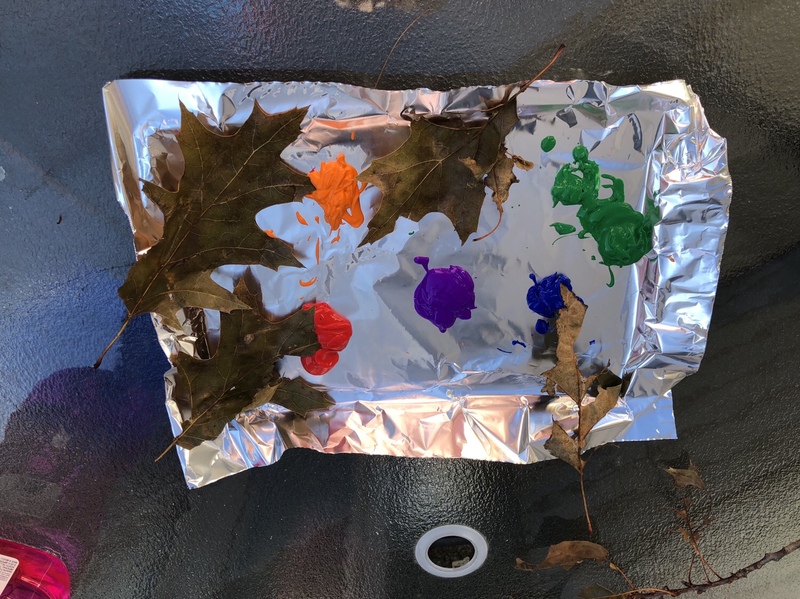 Here’s a simple painting activity for the fall. Tray or some other way to set up the paint. I just took a cookie sheet, lined it with foil and put some globs of paints in different colors on it. Then I put one leaf in each color of paint so they wouldn’t be mixed at first. 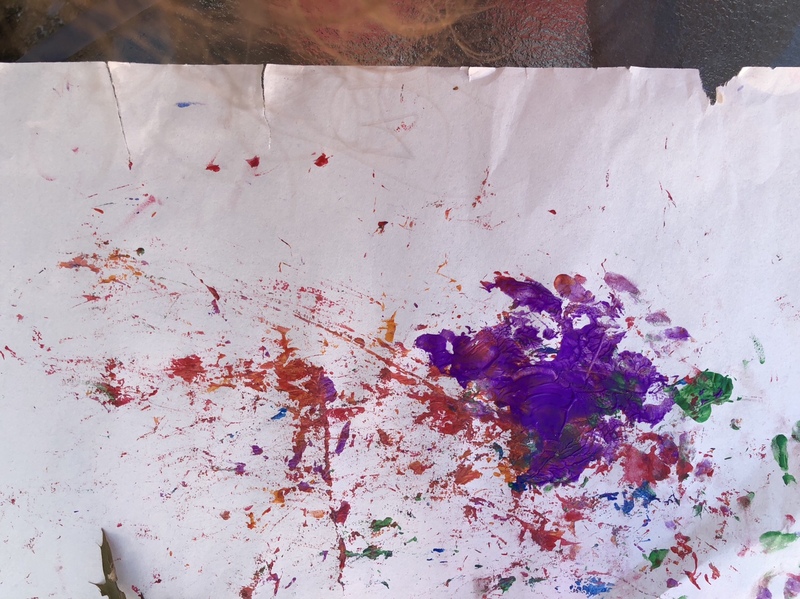 All you do is cover the leaf with paint and stamp it on the paper. I showed Rosebud once and then she got to work, creating her pictures. 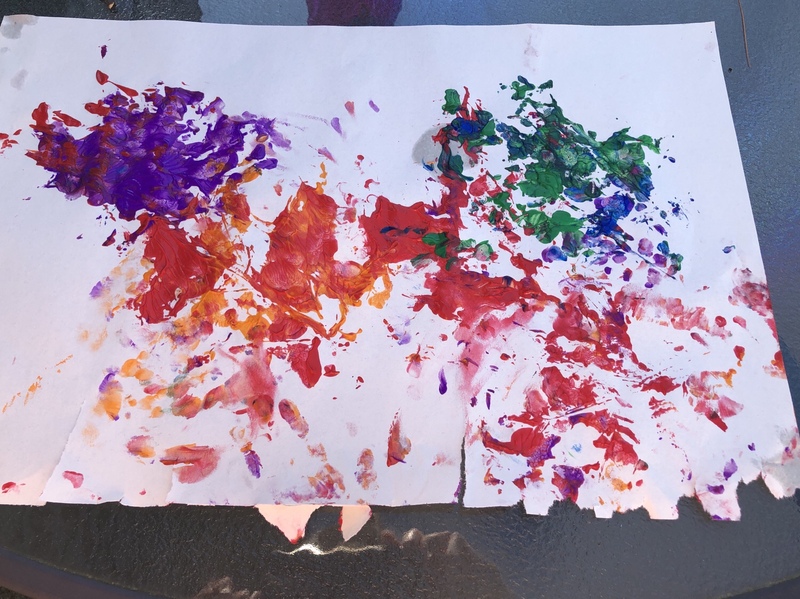 I didn’t have much paint so by the time we got to our third picture, I showed her how she could use the leaves as paintbrushes. I’m looking forward to doing more fall activities. What are your favorite fall crafts and activities? Let me know in the comments. This is so much fun. 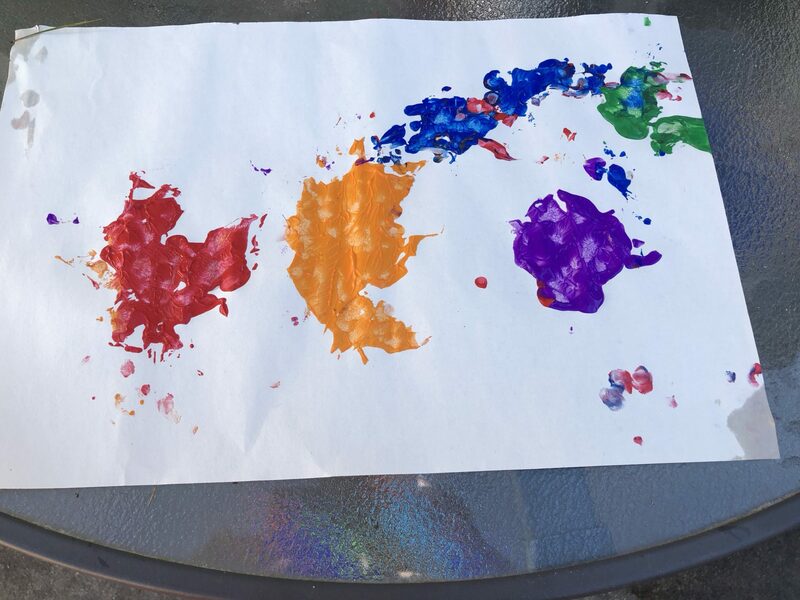 I am definitely trying out these painting techniques with my younger son. He lives to color and paint. This will make him super happy. I hope you both enjoy it. Thank you for the comment.